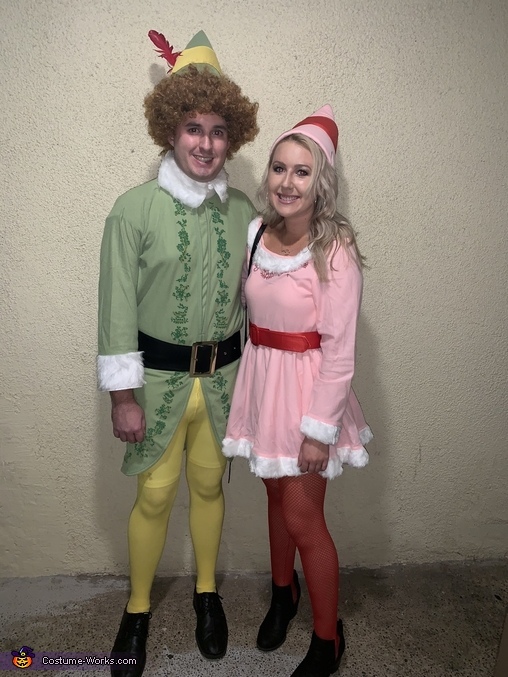 This store bought costume for couples entered our 2018 Halloween Costume Contest. I am wearing a Jodie the elf costume and my boyfriend Michael is buddy the elf! We found our costumes on amazon for 50$ each.